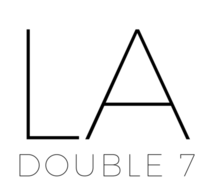 Abstract – LA Double 7, Inc. Ideal for the warm-weather seasons, this pink scarf features floral patterns throughout. Make this your go-to accessory to add a pop of color to neutral looks. Constructed of a light-weight 100% woven acrylic material. Wrap as a neck scarf, a shoulder shawl, or even a head-wrap! Get creative with this airy cotton-like accessory. Tie-dye watercolor designs this blue sheer oblong scarf. The lightweight fabric is perfect for creating versatile styling looks. Suitable for warm weather, can be worn and wrapped as a head scarf, shoulder wrap, or neck scarf. Cutesy mustache silhouette graphics embellish this soft oblong scarf. Available in three stylish neutral shades. Create a unique look by pairing this lightweight and airy scarf with spring and summer outfits! Double sided red-and-navy chevron pattern creates a simple and modern style. This accessory features a skinny silhouette, perfect for wrapping in various ways. Wear as a tie, neck scarf, or even tie as a headband. Delicate scarves are very in this season–don’t miss out on this must-have accessory! Our absolute must-have accessory, the navy square scarf, done in pretty abstract prints and features a silky feel. This scarf is wearable throughout the season, and features a light-weight, soft fabric. Tie up your hair, wrap elegantly around your neck, or tie around a purse strap for extra fashionable flare. Give your modern look a touch of chicness with this square scarf! A soft and cozy blanket scarf in a pair-with-anything hue makes a perfect companion for everyday looks. Features a beautiful paisley pattern, similar to a Kashan design, and small fringe outlining the hem. Available in camel or purple shades. Incorporate a splash of color to your look this season with our lightweight boho scarves! This oblong scarf will create a boho-chic flair to your look while presenting you with the sensation of a lightweight, breathable material. Available in five fun tones, all which can be paired with various looks throughout the seasons. This soft pastel yellow or grey scarf features small, delicate fringe outlining the hem. The lightweight fabric makes this a versatile scarf, which can be worn throughout the seasons as a wrap, shawl, or classic neck scarf. Tie different ways to show off the other colors contained throughout.